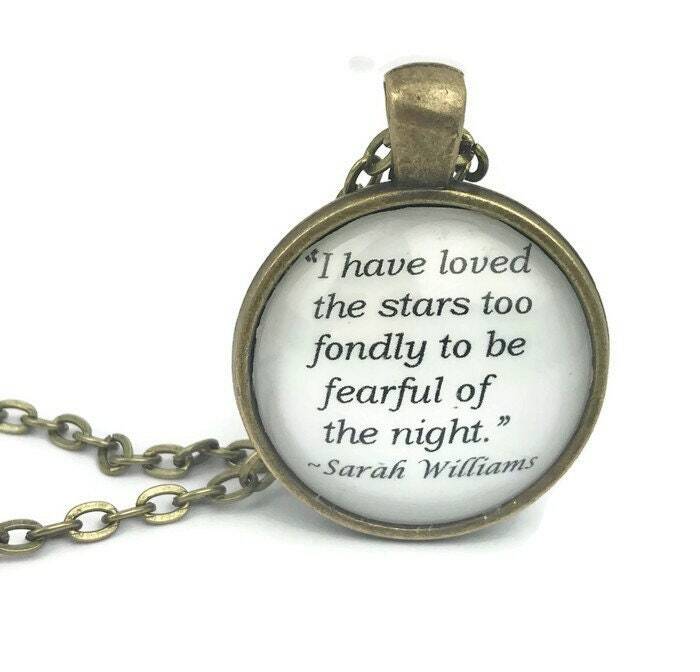 "I have loved the stars too fondly to be fearful of the night." 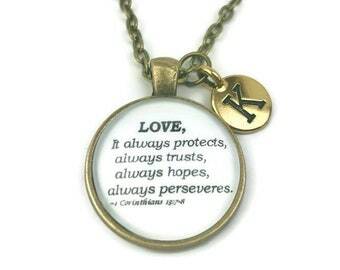 is a quote by English poet, Sarah Williams. It is also available as a keychain. 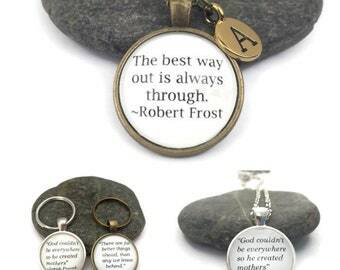 This author's quote necklace is printed on high quality paper and protected by a layer of resin and domed glass. The chain is silver plated (or Bronze) rolo style chain and 24" in length (which can be shortened if desired) with an easy to use lobster claw clasp. The pendant is 30mm (slightly more than 1") in diameter.